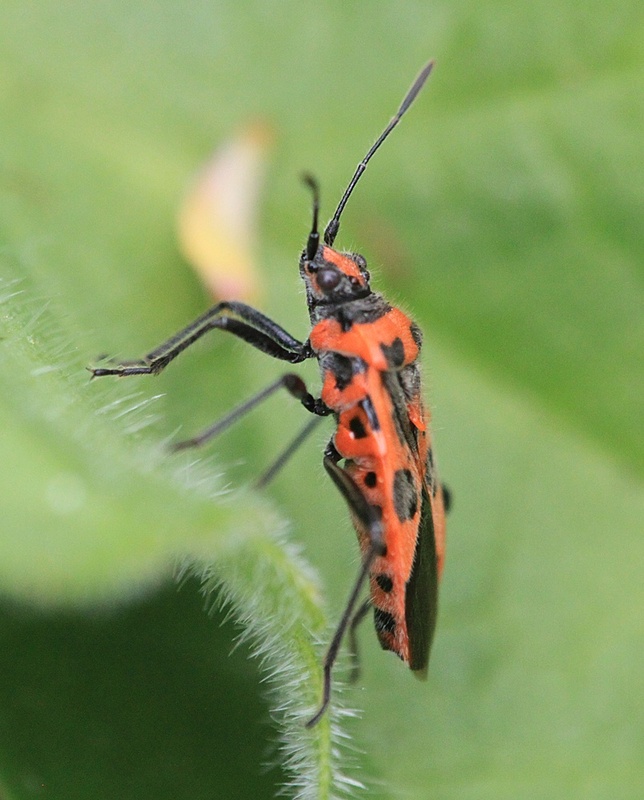 Length 9 mm. A very handsome species which should be unmistakable. 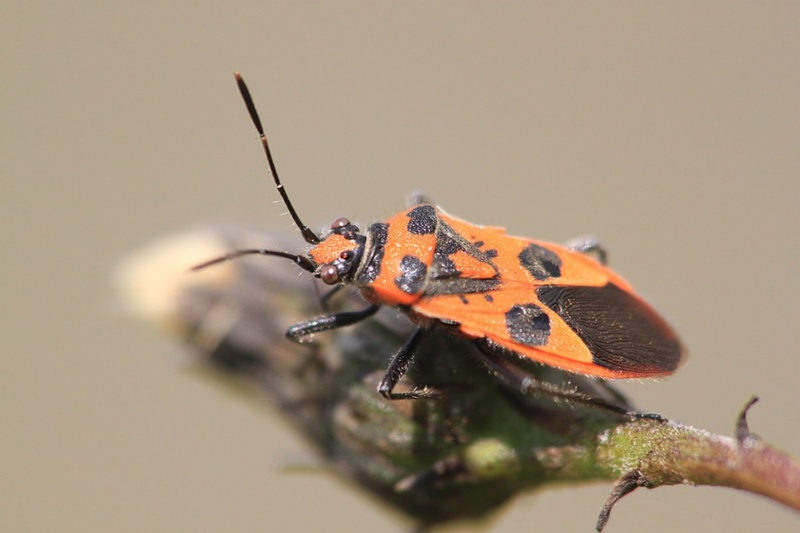 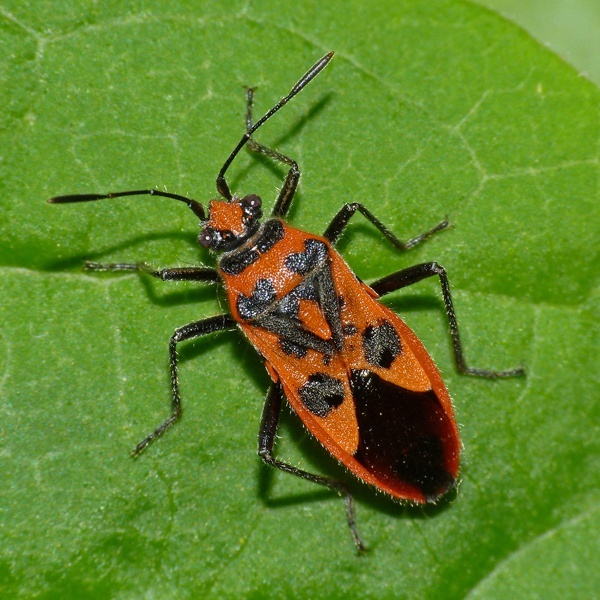 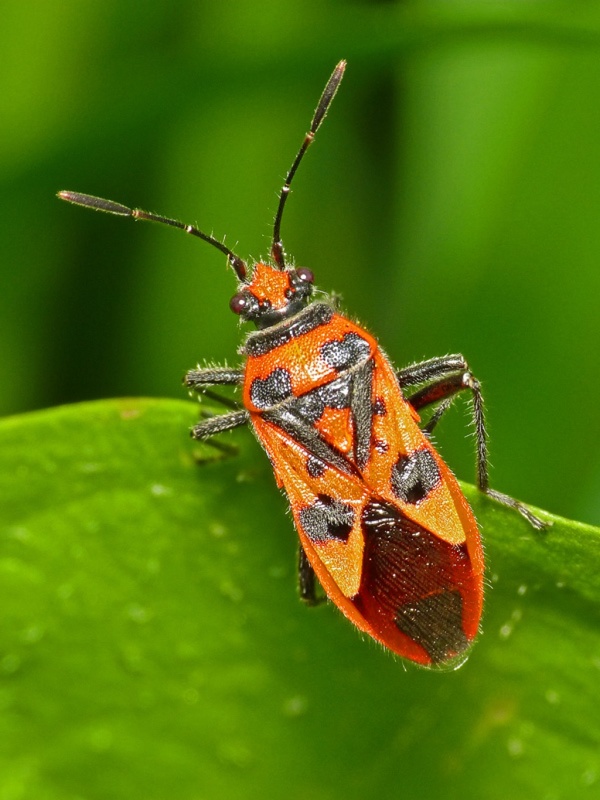 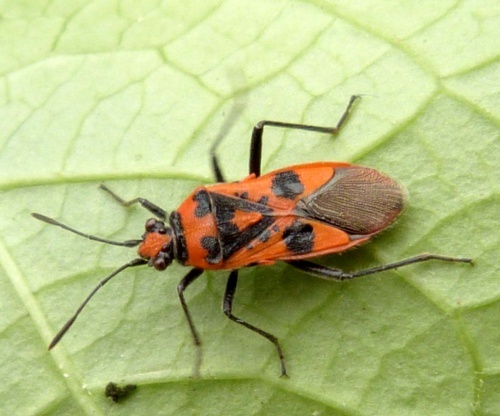 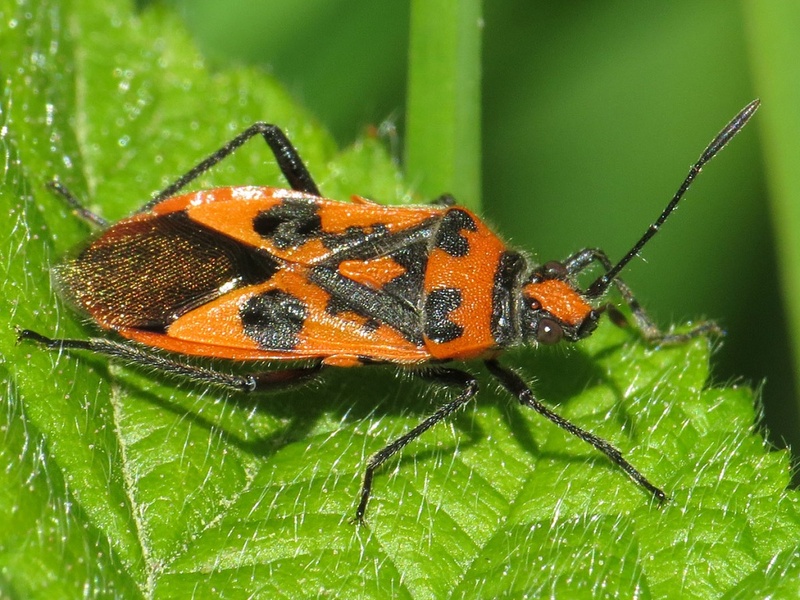 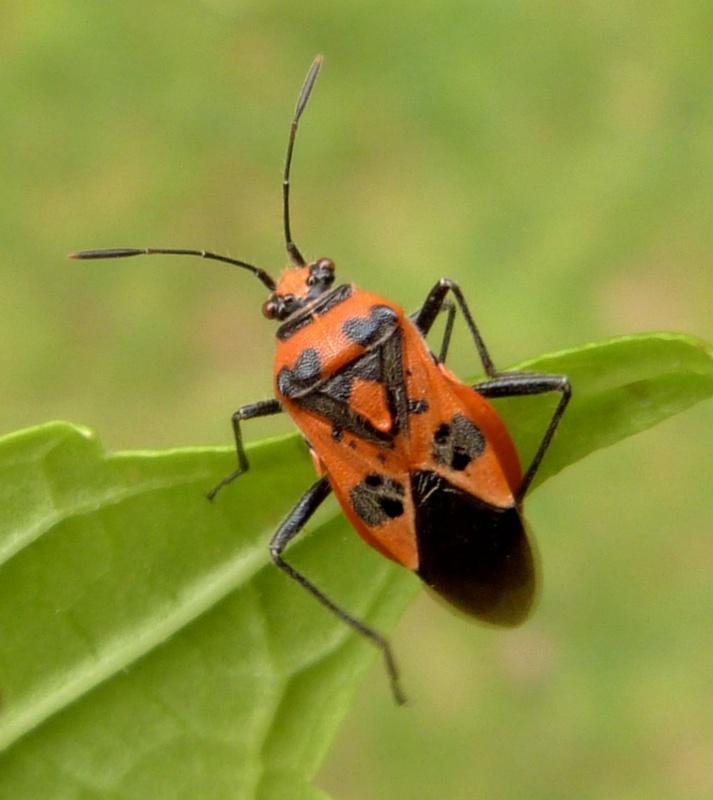 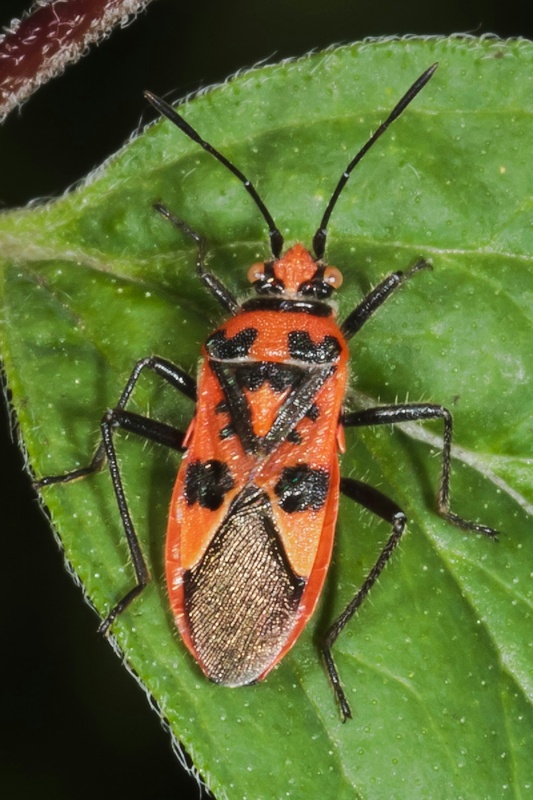 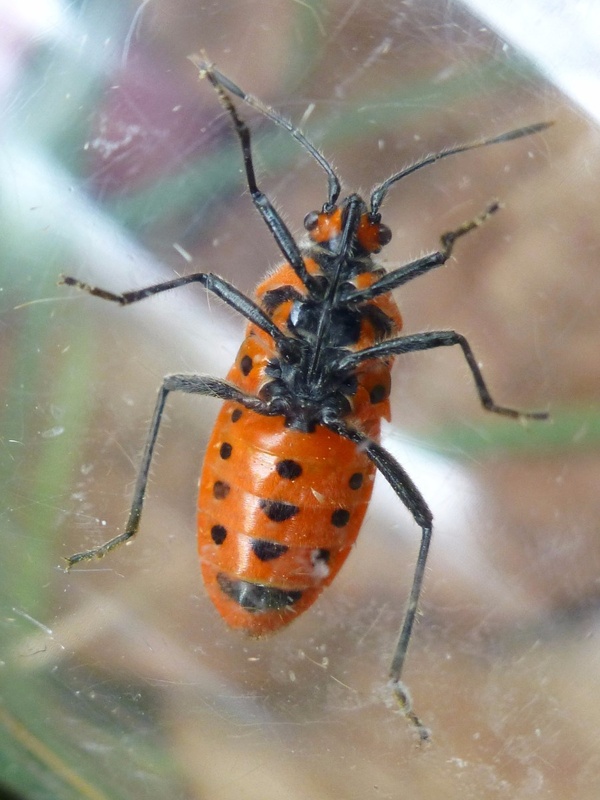 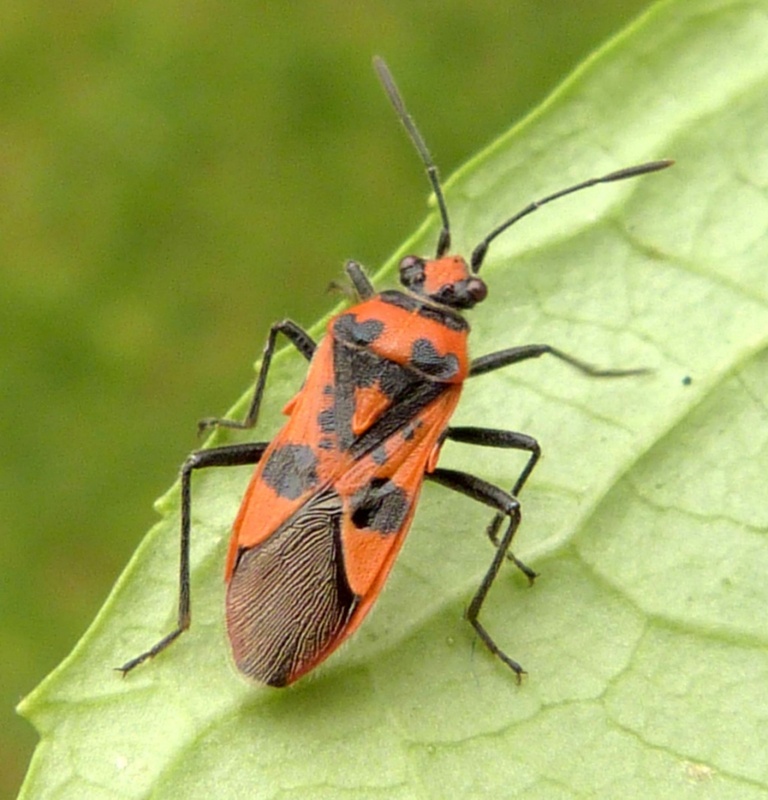 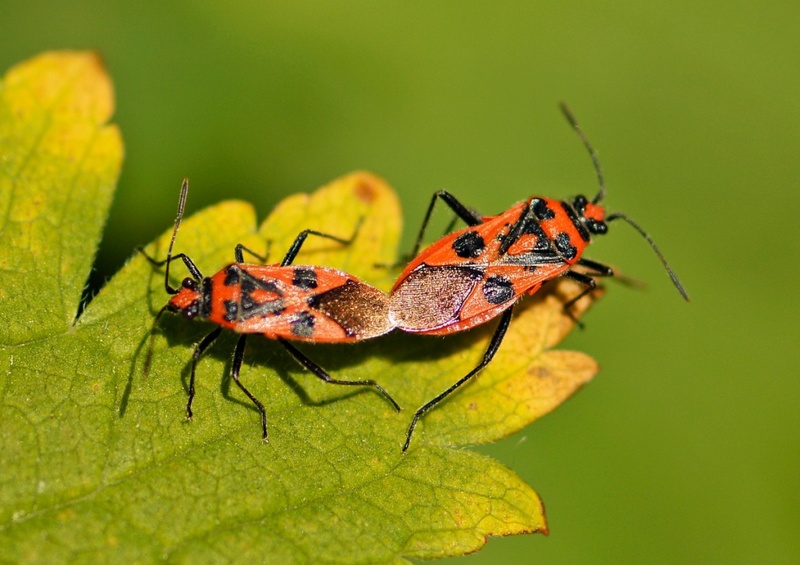 Although striking, it does bear a superficial resemblance to the red and black ground bugs (Lygaeidae); be sure to rule out Arocatus longiceps, which has recently been recorded in south-east England, as well as Pyrrhocoris apterus. 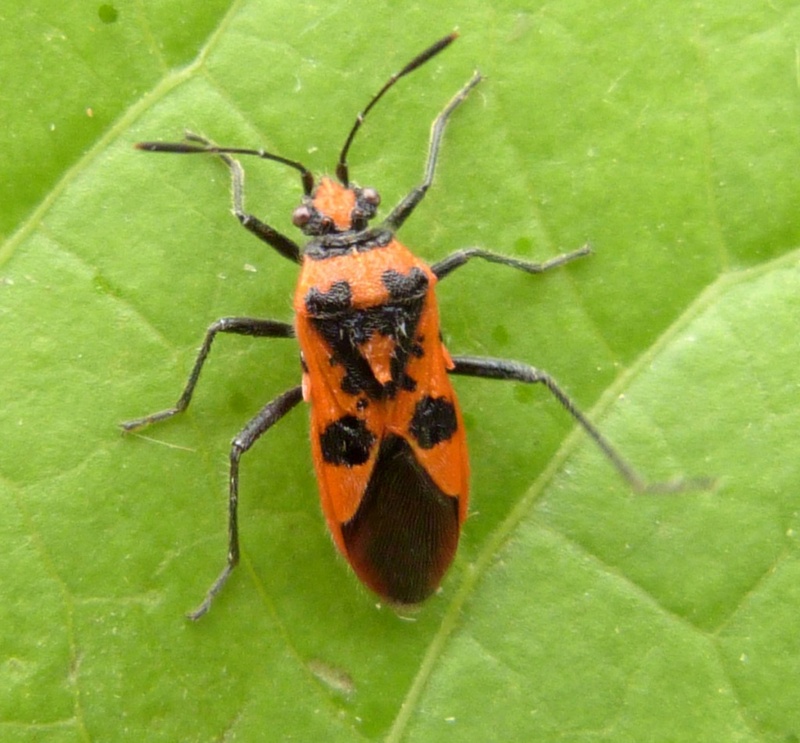 In addition to the distinctive markings, C. hyoscyami is further distinguished by its hairiness and the numerous veins in the apical wing membrane, characteristic of all Rhopalidae. 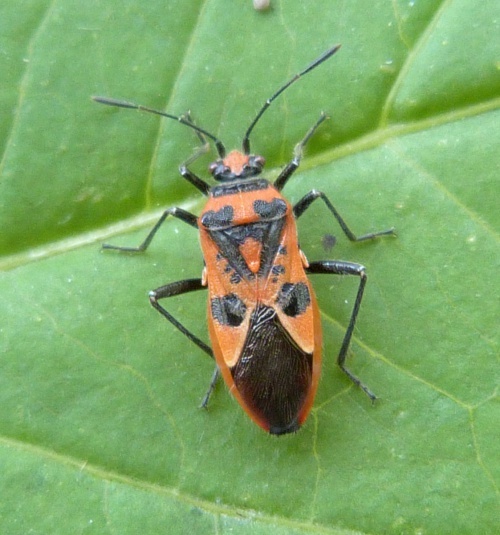 Nymphs are yellow/red-brown in colour and also rather hairy. 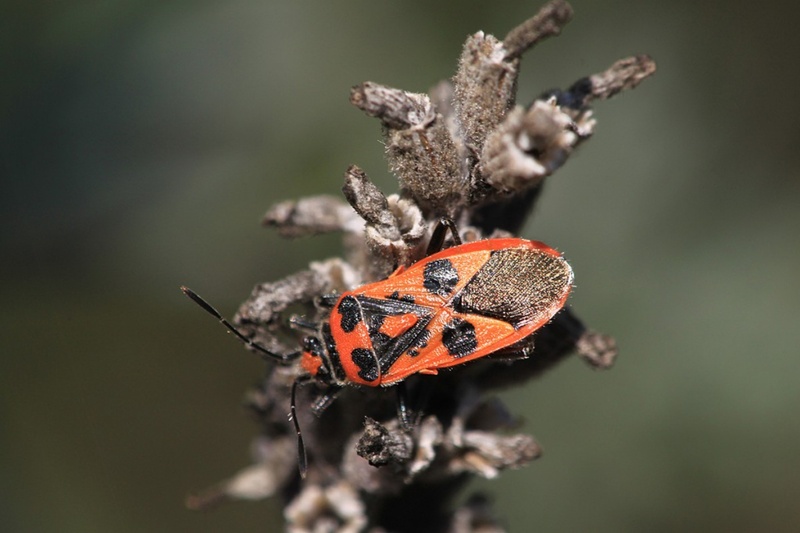 Found in dry habitats and associated with a range of plants. 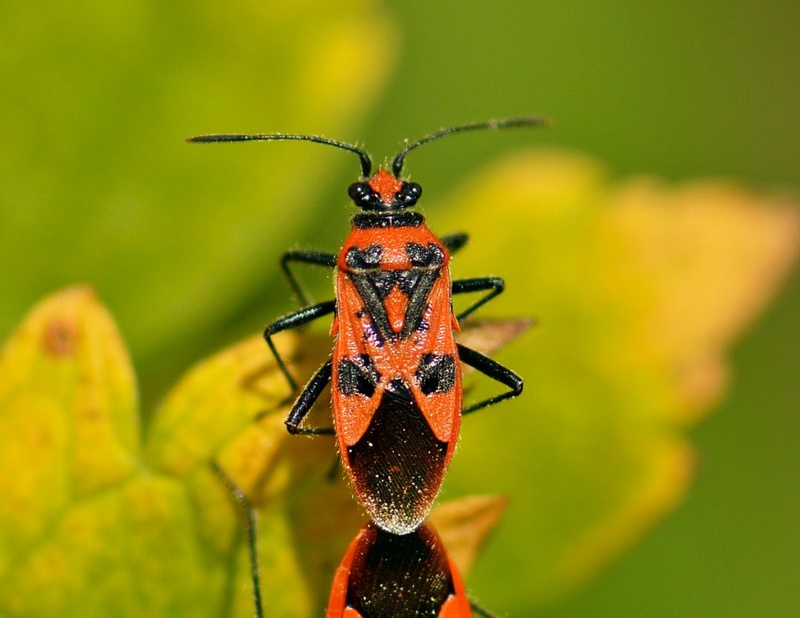 Overwinters as an adult, the new generation appearing in August-September. 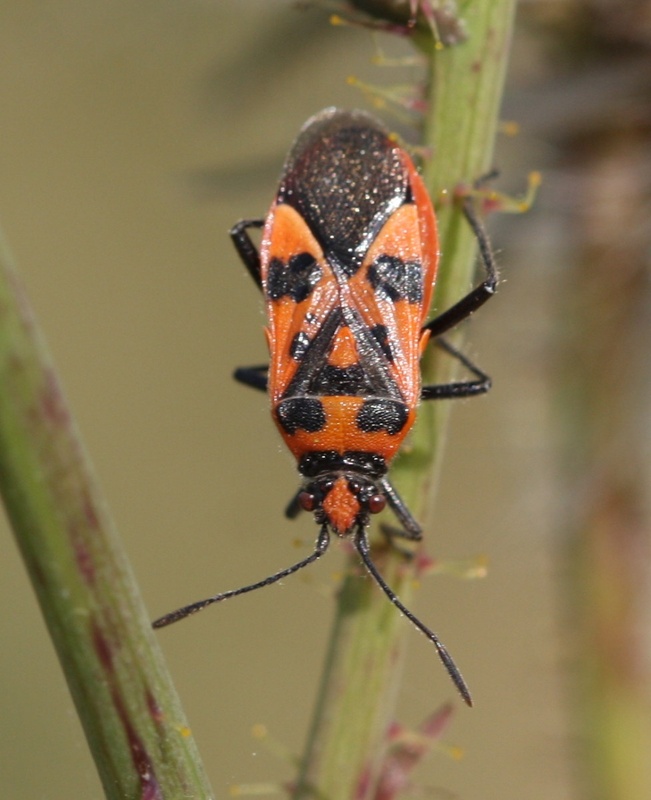 Formerly only locally distributed in sandy habitats around the coasts of southern Britain, this species is rapidly extending its range to a variety of habitats inland. 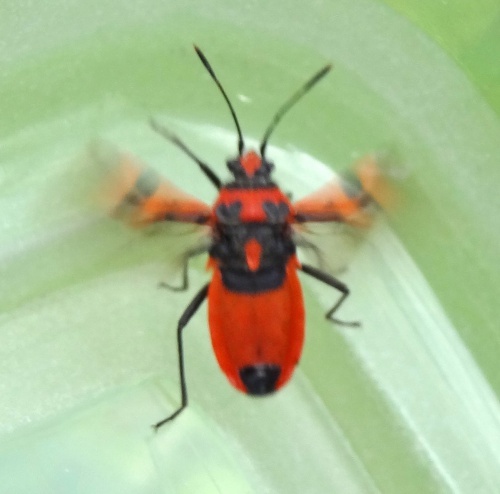 Becoming much more frequent than it was previously in Leicestershire and Rutland.